The heat is finally here to stay, and with it comes an invasion of all sorts of insects that make enjoying the weather annoying and difficult. 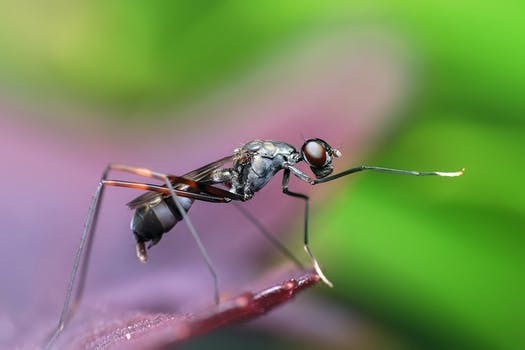 Biting black flies, whining mosquitoes, and bloodsucking ticks are just some of the various bugs that will keep many inside this summer. Bug sprays are a necessity if you don’t want to be eaten alive the second you open the front door. Unfortunately, insect repellents have a lingering, unpleasant smell, and many contain potentially toxic chemicals. How many people have told you to close your eyes and mouth while you get sprayed with bug spray? If you were ever unlucky enough to breathe in or have your eyes open, you know the terrible taste and smell that follows. The chemical smell in bug spray can make you wonder what is really in there-the stench doesn’t go away either, hanging around you for hours. Many essential-oil based sprays smell pleasant, but are notoriously ineffective or short lasting. Most don’t even contain oils that truly help repel insects! 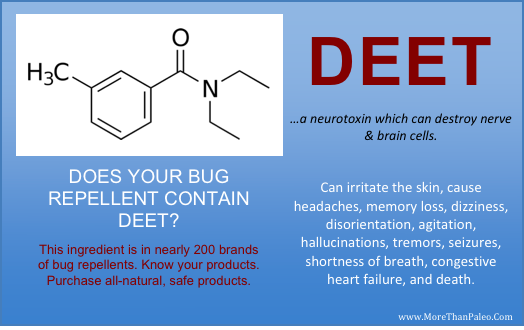 DEET has been used for over fifty years as an insect repellent! It is extremely effective, hence its presence in dozens and dozens of commercial bug sprays. Otherwise known as N, N-Diethyl-meta-toluamide, DEET works by discouraging insects from landing on surfaces sprayed with it. However, DEET is a known toxin, being able to be absorbed by the body through contact with skin. While many proponents of DEET show that it is only toxic at higher concentrations, it is always better to try and avoid possible toxins whenever possible. While DEET is not likely to bioaccumulate (build up in the environment) the sheer scale of its use can lead to concentrations of it found in water. Small concentrations of DEET are slightly toxic to fish and plankton, negatively impacting the environment. At higher concentrations, DEET is highly toxic, killing many insects and fish, severely damaging the ecosystem. last long. Those who wish to be naturally protected from insects have to reapply frequently, using a product that is inferior to DEET-based sprays in nearly every aspect. However, there are some sprays that are both effective AND natural. A great example is Skeeter Skidaddler, which offers wipes and sprays that are 100% plant based. They use oils such as cedar, clove, lemongrass, and eucalyptus, and that’s it….and they are all natural and GMO free, not to mention the fact that the smell is actually tolerable and pleasant. Instead of swatting and spraying chemicals at bugs in these hot months, use a solution that is from nature itself! This entry was posted in Blog and tagged deet, insect repellents, N-Diethyl-meta-toluamide. Bookmark the permalink.